While the process of community planning can seem mysterious or overwhelming at times, in reality it often boils down to a few simple steps. The process itself follows a simple outline of identifying a need in the community, gathering ideas from individuals within the government and from the public, and then fitting these ideas together into a cohesive plan that will hopefully be implemented. Sometimes the needs are identified by the state government, which may require towns to update comprehensive plans every five years, while other times they are recognized by the government officials responsible for planning or brought to their attention by the public. Within the planning process, there are several opportunities to influence the outcome of the plan, opportunities which can be taken advantage of to steer community planning in a more equestrian-friendly direction. 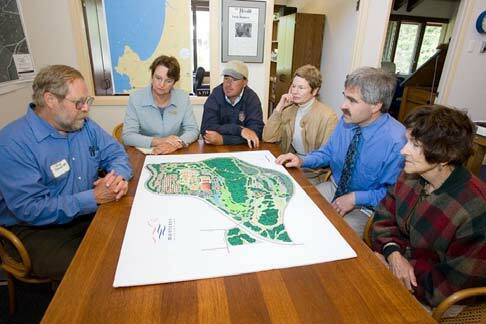 The following are seven steps to being able to effectively influence community plans. Read the Existing Plans. Future land use maps are a good place to start in understanding what the government is envisioning for the community. Also check for documents such as the Comprehensive or Master Plan. Many communities will also have a separate greenway or trail system plan, which will most likely indicate the types of trails planned, whether bike, pedestrian, or equestrian. The first step to getting involved in the planning process is to know the current status of community planning, particularly as it relates to horses in the community. In surveying the current plan, take note of the overall direction envisioned for the community, which is usually described in the master plan; in particular, focus on the areas planned to be developed as urban or suburban compared to those intended to remain rural. In some cases, a Green Space plan may also be included, but it may be a separate document; this plan will be particularly useful for distinguishing between areas to be developed and those to be left open. Understanding how open space is planned to be distributed around the community and what types of trails may be available will provide valuable background for approaching the planning department with recommendations. Review Relevant Zoning Codes. Brush up on any codes that are relevant to horsekeeping. In some communities, these are essentially nonexistent, while others regulate everything from lot size to manure management. Consider the impacts that the present codes have on how horses are kept; are large minimum lot sizes pushing horses farther away from the city center? Are codes regulating horse care unrealistic or unenforced? Finally, consider what changes you would make to the codes to address your concerns and the over- or under-regulation of horsekeeping in your area. Attend Planning Board Meetings. Board meetings will cover topics such as new development proposals, ensuring they conform to zoning codes and the desired direction of development, and will address changes to zoning codes or amendments to the various plans. Attending these meetings will give you a better understanding of the people involved, the planning process, and the language used, all of which will help you put together your own proposal for the board. Planning board meetings are generally open to the public, with few exceptions. Most states require these meetings to be open precisely so that you have access to the process that is determining the future shape of the community. Monitor City and County News. States generally require a specific period of public notice before changes to the plan can be made, varying from a few days to a week or more. Meeting times and locations for the planning board and for community input meetings will also be advertised. Keep an eye on the government websites and on local newspapers and radio stations for information on anticipated changes to the community plan. If changes are proposed in an area near you, you may even see large sign boards put up giving information on the proposed change. Submit Suggestions. Suggestions can be made in person at the planning office, by phone, or by e-mail; you can also take advantage of the opportunities provided by the planning department for public input. Once you have a handle on how the current community plan provides or fails to provide for your equestrian community, identify the areas that need improvement and make informed suggestions to the planning department. If you can, go to the planning office and talk to someone face-to-face about your concerns; they may have already taken steps to address them. During the beginning stages of a plan or an overhaul of a plan, there will usually be neighborhood meetings to discuss what the people living there would like to see in the development of their community. In addition to the meetings, there may be whiteboards or paper available in the area under discussion for ideas to be submitted as you pass by, or there may be an online survey or submittal option. Regardless of the means being used, these are all valuable opportunities to make your opinion known. Network and Educate. Educating people within the planning department (this is where attending meetings comes in handy!) 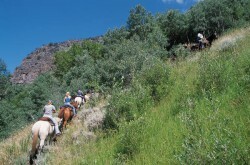 and within the community can help build support for creating a space in the community for horses. If yours is the only voice in the storm, it may not receive as much attention as you would like. Reaching out to others who share your concerns about making your area more horse-friendly is a good place to start, but to effect change you must also expand your network to people outside the horse community, even and especially those who do not appreciate the benefits that horses can provide, not just to individuals but to the community as a whole. For information on what these benefits are, check out The Benefits of Horses in our Communities section of this website. For discussions with the planning officials, it may be useful to take handouts or brochures to leave with them; such brochures could be left at local businesses as well to help promote awareness of the issues. Join or Create a Group. A variety of national, regional, and local groups are already in existence to help interface between planning and engineering professionals and the equestrian community; researching which organizations are active in your area would be a reasonable place to start. A natural expansion of networking is to join or create a group dedicated to the issues you are raising. Finding these organizations will not only make your networking easier, but may mean you do not have to start from scratch in your discussions with the local officials. Barring the presence of an existing group in your area devoted to improving communications between the planning and equestrian communities, or to preserving open space, or to the role of horses in accomplishing community goals such as good water quality, you can always create your own group. After all, every existing group began with an individual with an idea! Being able to influence the planning process to make an area more horse-friendly is as simple as getting involved in that process and talking to the right people. 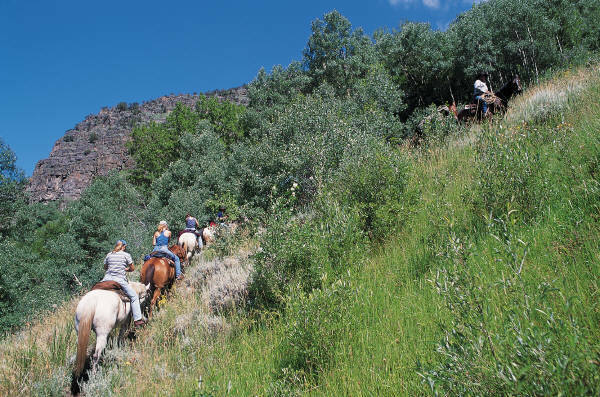 Yes, it takes time and effort, but all worthwhile goals do, and making our communities more horse-friendly and avoiding the loss of open lands and equestrian-friendly trails is certainly a worthwhile goal. Getting involved in the process really boils down to talking to people and networking to build support for horses in the community; with community support, the planning is the easy part!